CBD oil-infused food, drinks and dietary supplements are popular even though the U.S. government says they're illegal and some local authorities have forced retailers to pull products. The confusion has California, Texas and other states moving to legalize the cannabis compound that many see as beneficial to their health. 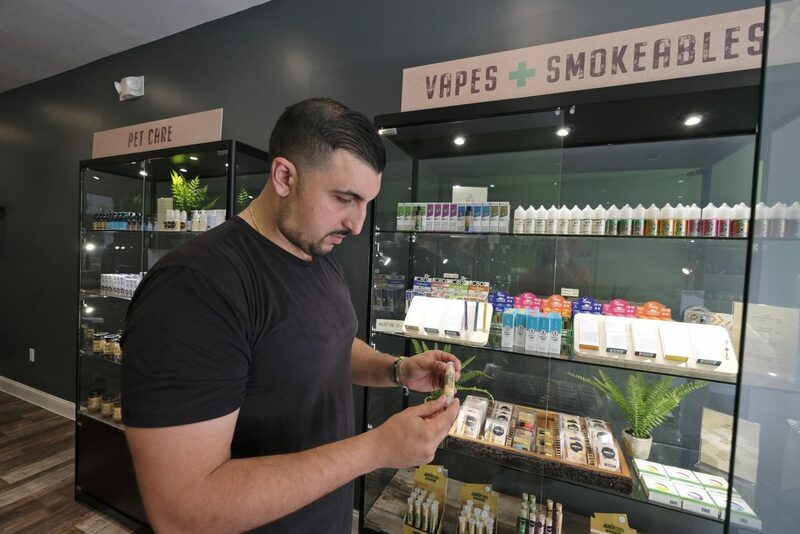 SAN FRANCISCO — CBD oil-infused gummy bears, lattes and other food, drinks and dietary supplements are selling quickly even though the U.S. government says they’re illegal and local authorities have forced some retailers to pull products. The confusion has the nation’s two largest states and others moving to legalize the cannabis compound that many see as beneficial to their health. Eppers and CBD fans are mystified by the legal insecurity. After all, they say, retailers in California and nine other states that have broadly legalized marijuana edibles and other products that get people high, though pot is illegal under federal law. U.S. officials generally have taken a hands-off approach in states where pot is legal. San Francisco health officials recently barred two small operators from selling CBD-infused food and drink, while authorities in rural Grass Valley, 140 miles away, did the same to a small, cooperatively owned grocery store.